Do you want to block emails from your ex wife/husband? Do you want to block those annoying offers and newsletters that reach your inbox? 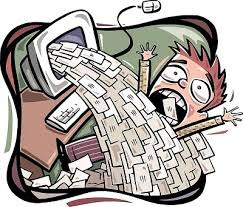 Well here is a way to block all those unwanted and annoying emails that you do not want to see or read! With this trick you can block individual email address or the whole domain from which you do not want the emails to come from. Here are the step-by-step instructions to do this. For ex. you may enter [email protected] .com in the From field to block all incoming emails from this address. However if you want to block the whole domain then use the following syntax: *@xyz.com. Now all the incoming emails from the domain xyz.com will be blocked. Fox ex. [email protected] or if you want to block an entire domain then just enter @xyz.com. Dont enter *@xyz.com. Select the option Move the message to: Trash and click on Save Changes.